Today is the big day – August 2, which leaves only a few hours before Samsung’s highly-anticipated Galaxy Note 7 Unpacked event. The festivities will kick off at 11AM EST and as always, we will be covering the announcements live. 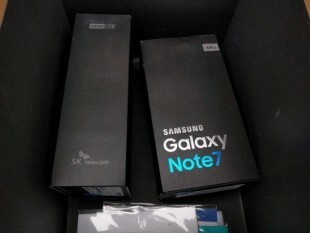 However, it appears the rumor mill is not ready to quiet down quite yet and a fresh new batch of shots offers yet another look at the phablet and this time around its retail box as well. The leak covers not only one unit, but rather a total of three. 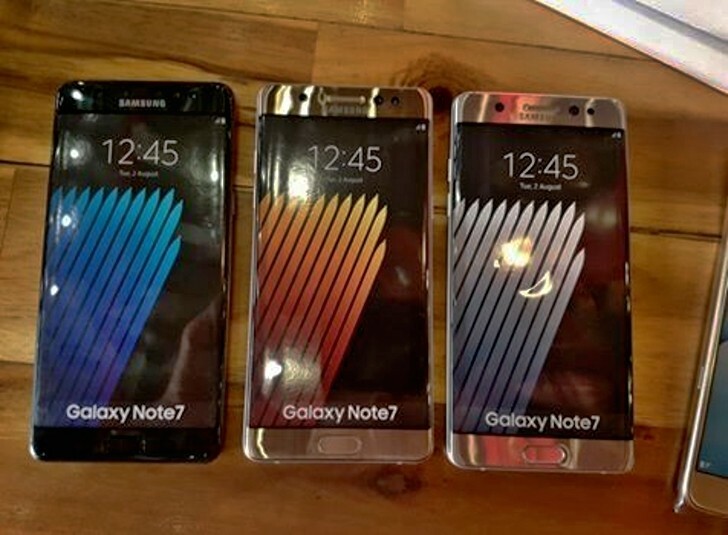 We can clearly see the Note 7 in Black Onyx and Silver Titanium, as described by an earlier leak, as well as the Gold variant, we saw earlier today. Of course, the stills can’t really come close to the quality of the official press renders, which were leaked a few days ago as well. However, this does allow us to count out a total of four color options yet again, suggesting this will likely be the official selection Samsung will be unveiling later today. The new leak also offers a close-up view of the phablet’s retail box. This includes a short specs summary on one side of the cardboard enclosure. While far from complete, these few lines do offer proof for at least a few specs rumors. Starting with the screen size, 143.9mm, clearly indicated a 5.7-inch panel, which means Samsung has stuck to the signature measurement for yet another Note iteration. There isn’t a lot of information about the chipset, which we currently believe to be a choice between a Snapdragon 821 and an Exynos 8893, but memory is very clearly indicated as 4GB, along with 64GB of storage in this particular model. And while the latter number will likely go as high as 128GB across the Note 7 line, RAM will most-likely be the same, meaning that Samsung decided it won’t jump on the 6GB hype train quite yet. 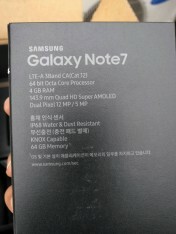 Still, there is always the possibility of something along the lines of a “Pro” version with a RAM upgrade, although historically that is yet to happen in the Note family. Other interesting info from the box includes the camera setup, which at least going by the “Dual Pixel” moniker and the 12MP, plus 5MP back and front setup looks to be lifted straight from the Galaxy S7. Last but not least, the IP68 rating appears to be confirmed as well, making the Note 7, the first from its family to offer the additional protection.